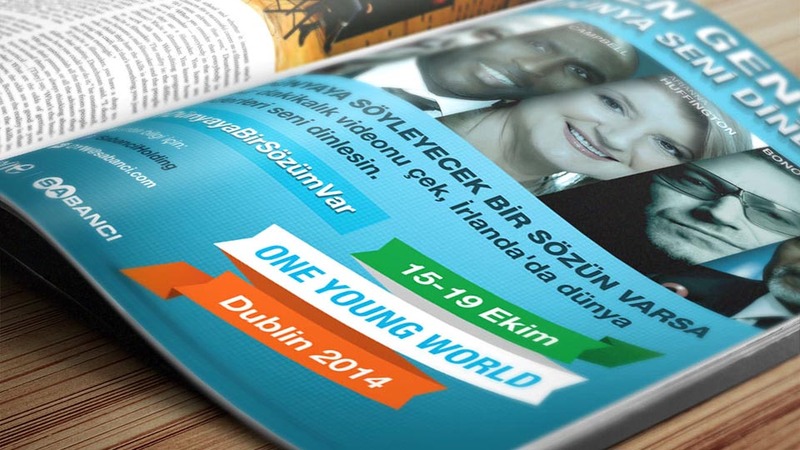 One Young World is the largest youth summit in the world. Speakers like Bono, Kofi Annan, Bob Geldorf or Bill Clinton are yearly participating. In 2014 Sabancı Holding was the turkish sponsor for this event. I was tasked as Art Director to create the visuals. With keen slogans and nice keyvisual, i finally developed Logo, Poster, App, Banner, Roll-up and a viral video for Youtube.